Thank you for visiting! 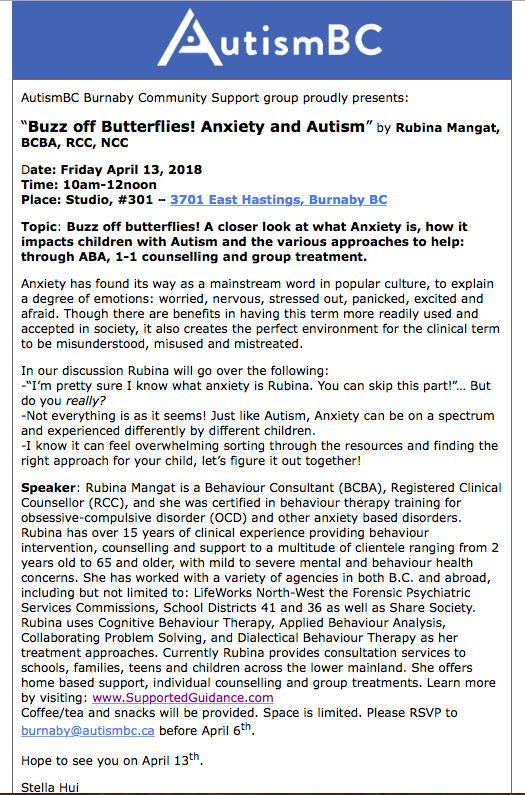 Please click on the links above to find out more information regarding Rubina's Counselling, Autism Support and Life Coaching services. A designation of the BC Association of Clinical Counsellors. With much gratitude and appreciation, Rubina thanks each and every one of you who voted! You spoke and Rubina heard you loud and clear! 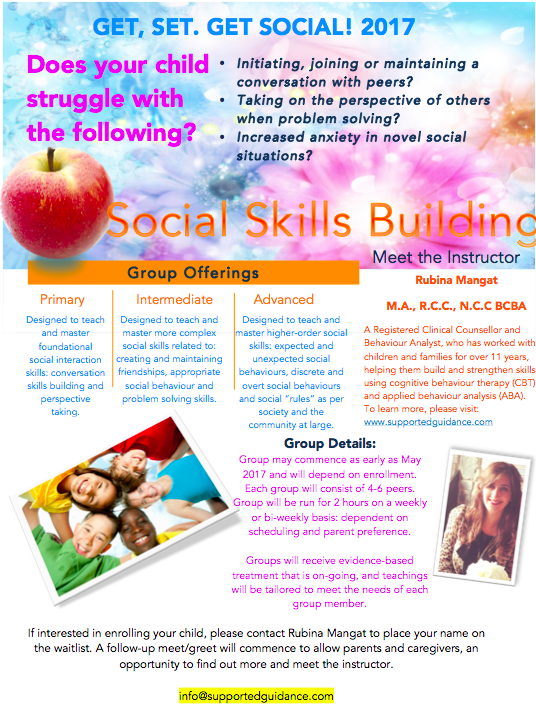 Rubina is offering social skills training in group format. 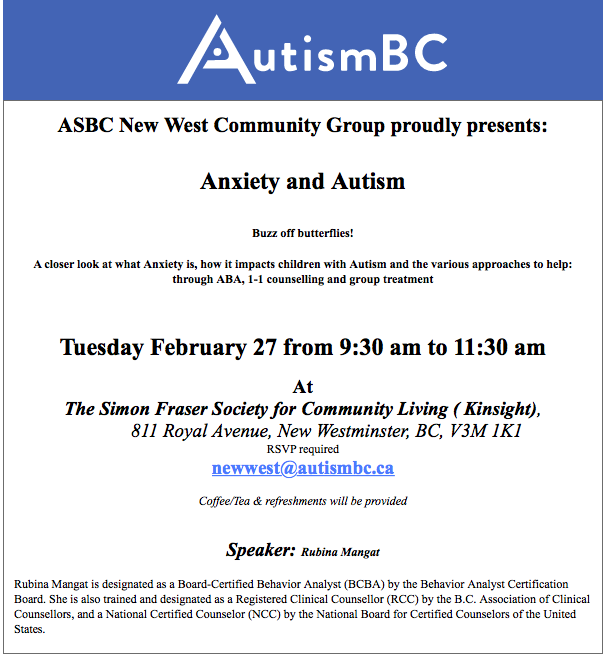 Each child's needs will be assessed to determine which group level is best-fit for him/her. Groups will not exceed 6 persons, as Rubina aims to maintain the quality and integrity of the group learning style. 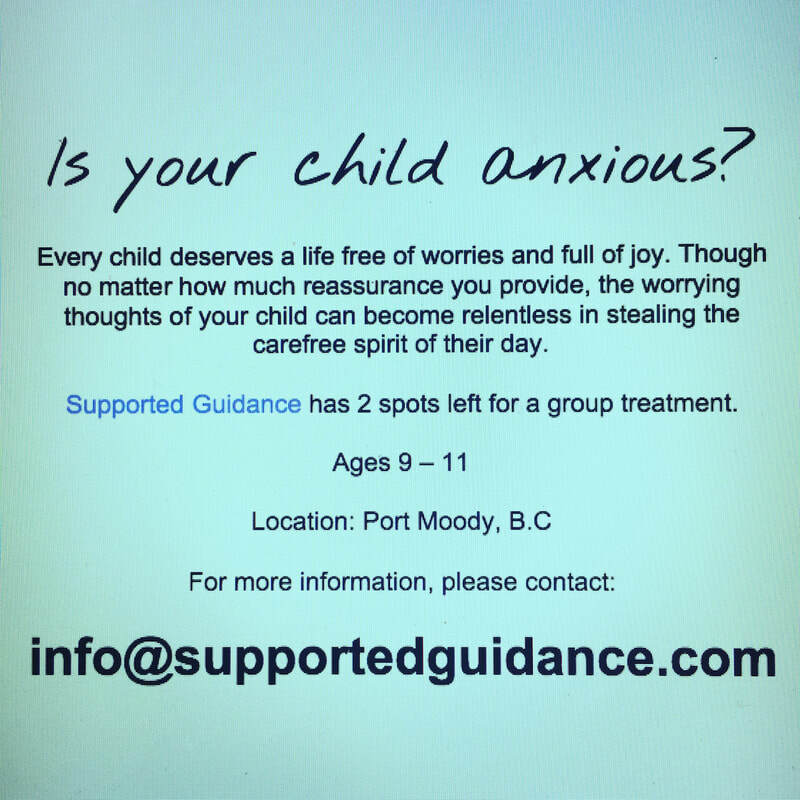 Those interested, please email info@supportedguidance.com to be placed on the intake-list. Rubina Mangat and Delma Campbell will be offering a highly intensive, evidence-based-group treatment for ADHD designed by Dr. Richard Gallagher, Dr. Howard B. Abikoff and Dr. Elana G. Spira. Spots are limited. Please use the contact form for any inquiries.